Monitors – Horn Technologies & Services, Inc.
Horn Technologies has a variety of options for monitoring, and uses state-of-the art technology. Below are some of the monitors that we use and sell. Analyser is designed for monitoring, displaying, and logging the levels of PH3 gas used to fumigate buildings, silos, ship compartments, or other structures for the treatment of living plant material such as fruits, vegetables, grains, and seeds. The analyser is not intended to be a safety monitor. During the fumigation process the CertiPH3os®-Analyser is used to monitor the phosphine fumigant level, thus verifying that the correct level of fumigant is maintained throughout the fumigation process. SIM card capabilities allow user to check the concentrations remotely and alerts user if concentration level fall below threshold limits. 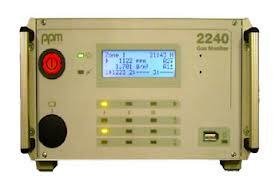 The smallest gas detection instrument for up to 5 gases. 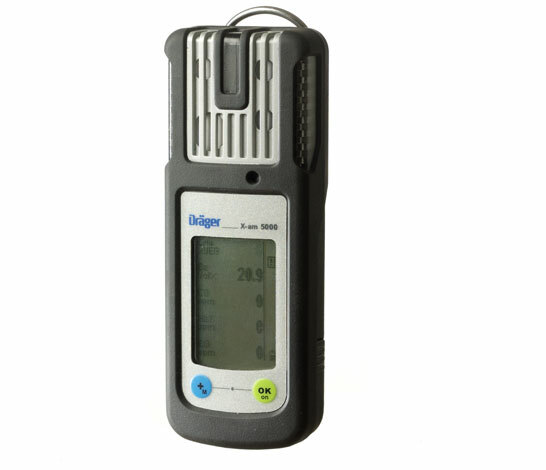 The Dräger X-am 5000 belongs to a new generation of gas detectors, developed especially for personal monitoring applications. 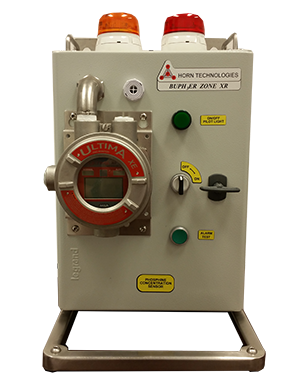 This 1 to 5-gas detector reliably measures combustible gases and vapors as well as oxygen and harmful concentrations of CO, H2S, CO2, Cl2, HCN, O3, COCl2, NH3, NO2, PH3, SO2, amines, odorants and organic vapors. the Dräger X-am 5000 offers maximum security and extremely low operational costs. The longevity of the catalytic sensor and five year expected lifetime of the oxygen sensor are unique in the market. Dräger X-am 5000's ergonomic mobile phone design and light weight make it comfortable for users to carry. It is water and dust-resistant according to IP 67. The integrated rubber protection and shock-proof sensors ensure additional resistance to impact and vibration. The innovative catalytic Ex sensor, with full range functionality, measures 0-100 % LEL and 0-100 Vol.- % methane concentration. The calibration concept simplifies a calibration to vapors. When set for maximum sensitivity, the detector is even more reliable to warn about unknown hazards. An accessory item that the X-am 5000 PH3 attaches to. This allow the user to sniff the concentrations of a fumigated chamber, controlled atmosphere room, reefer container from the outside via pump system. With its handy, pocket-sized design, the Dräger Pac 7000 is tailor-made for personal monitoring in daily work activities. 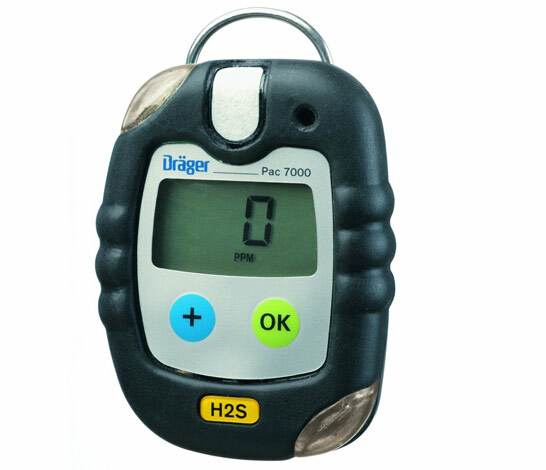 Dräger Pac 7000 is dust proof and water resistant, meeting the requirements of IP 66/67. A strong, tough, stainless steel crocodile clip allows the instrument to be fastened securely anywhere. 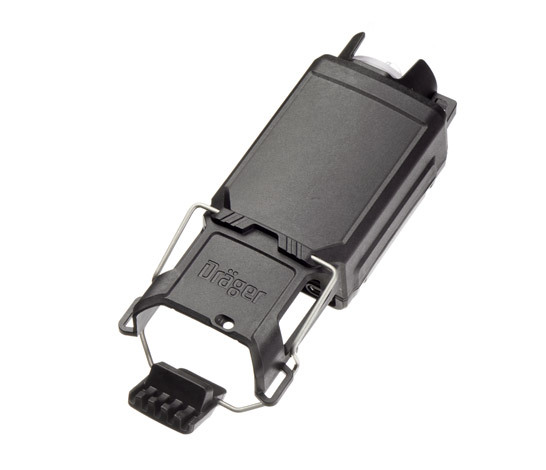 The clip can be rotated to the best position for user comfort. The dual alarm LED’s are positioned on opposite corners of the instrument for assured visibility. Battery and sensor replacement are easy and ensure a long instrument life. This monitor is designed to be placed in scenarios where the fumigation taking place is in proximity of plant/pack house employees. Thus it monitors a radius of 20-30 feet 24/7. Alerting everyone close by when a leak is detected via siren and light, furthermore, SIM card capabilities alerts the responsible personnel via text/email message.